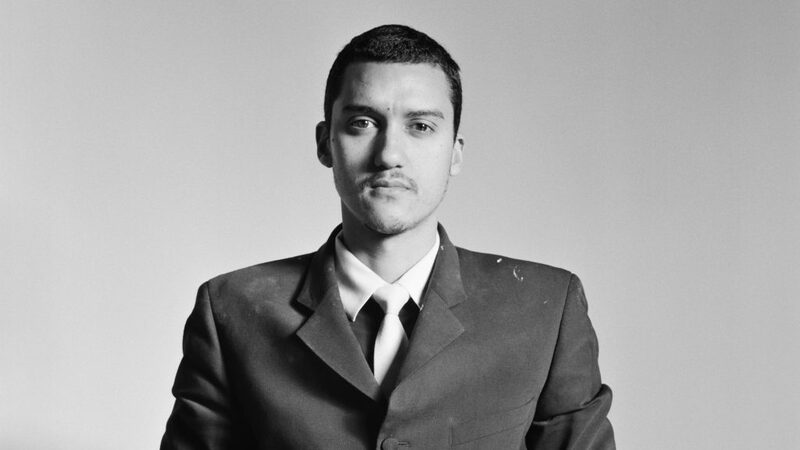 Robin Rhode (born 1976, Cape Town, South Africa) was raised in Johannesburg as part of the first generation of South African youth to be widely exposed to Western urban culture. 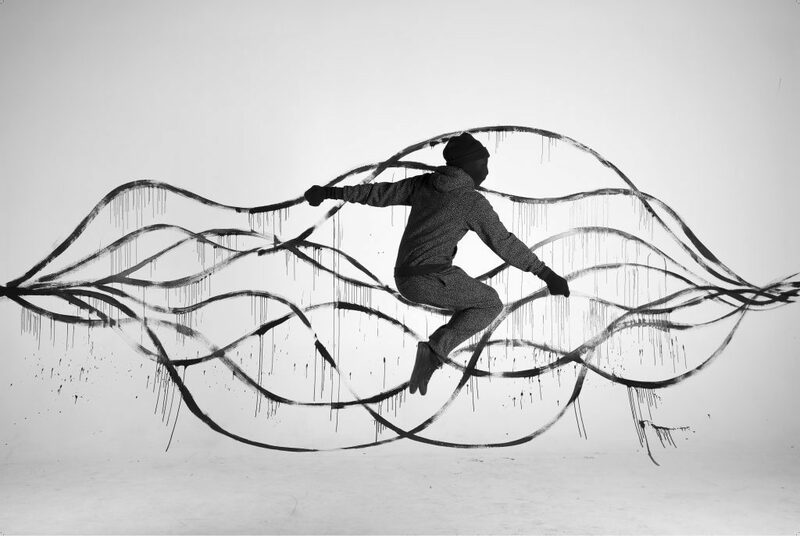 Inspired by hip hop, popular sports, and street art, Rhode blends a variety of high and low art forms in his practice by combining photography, performance, drawing, and sculpture. 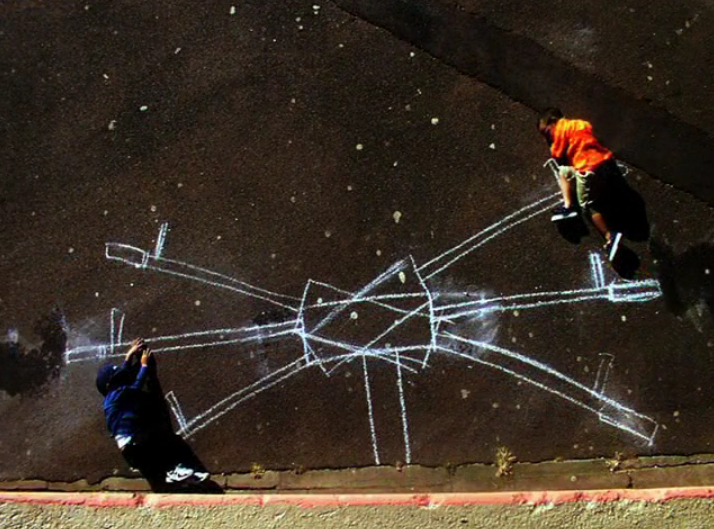 Rhode uses materials such as soap, charcoal, chalk, and paint to create interventions that turn ordinary community spaces into imaginary worlds. 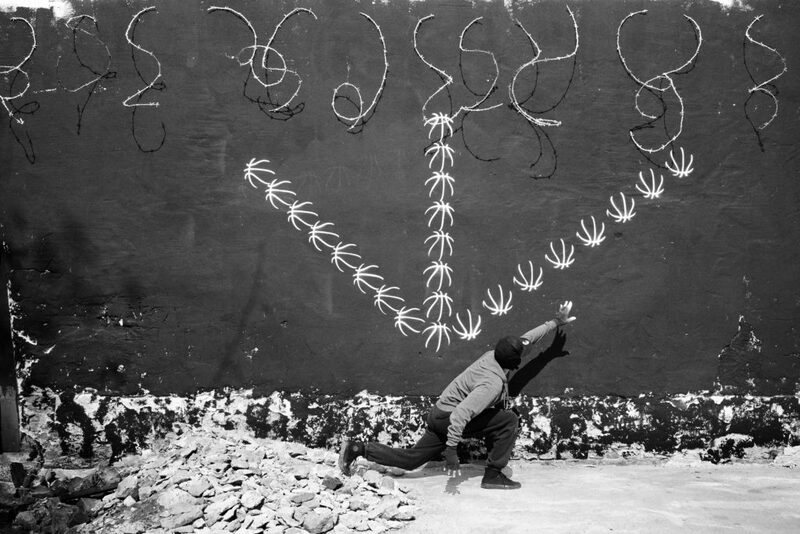 He takes the familiar street art genre and reinvents it by photographing himself interacting with the drawing as he creates it, suggesting narrative and motion. 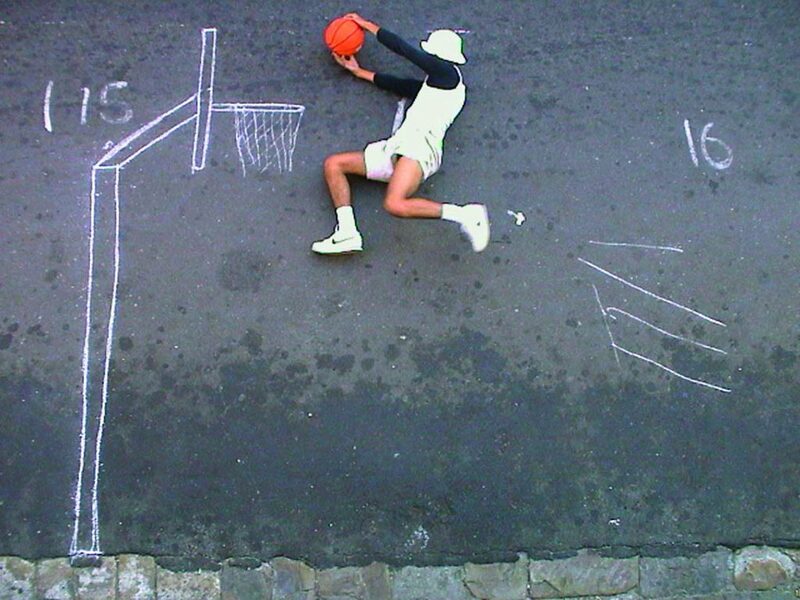 For example, in He Got Game, Rhode poses himself in a series of chalk drawings on asphalt that come together—like a flip book or a GIF—to show him dunking a basketball. Rhode’s work is influenced by his experience growing up during the period after Apartheid, a policy of institutionalized racial segregation and discrimination in South Africa from 1948 until 1991. He often uses humor as a tool for coping with the difficult political issues in his home country. In He Got Game, Rhode takes the familiar—a pick-up neighborhood basketball game—and makes it fantastical, dunking the ball in a move that would be impossible in real life. 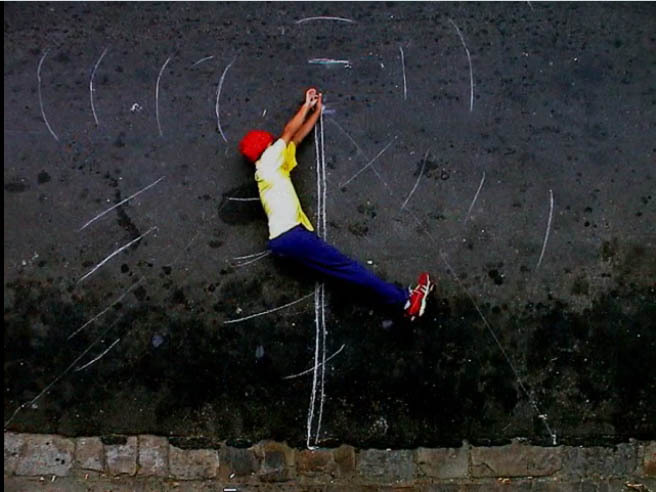 PlayTime curator Trevor Smith describes how Robin Rhodes’s work finds the space between reality and dreams. Read the transcript.